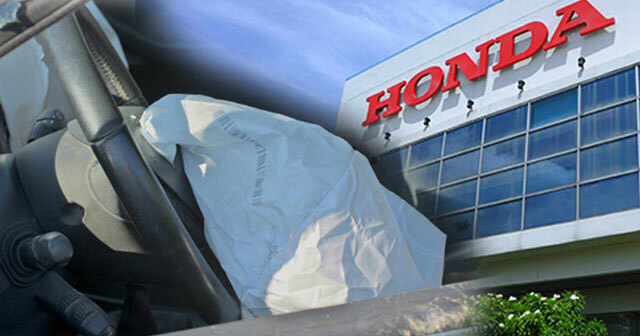 Bangkok – The Independent Committee for Consumer Protection (ICCP) called on Honda to provide fair compensation to customers who bring in their vehicles for airbag checks. ICCP also urged other car companies to reveal if Takata airbags are used in their vehicles. In light of the worldwide recall of more than 30 million cars to have the installed Takata airbags tested for safety after several incidents involving explosions of the airbags, ICCP has been following up on the matter and found that Honda Thailand has started the recall process. Dr. Paiboon Choungthong, Chairman of ICCP’s Committee on general products and services, said he appreciated Honda’s bravery and honesty towards their customers. However, the company still needed to make sure it provided fair compensation to the customers such as arranging for vehicles to be used while their cars are being tested or extending the warranty period of their cars, said the Chairman. “Moreover, other car manufacturers should announce the models that use the airbags from Takata which controls 20% of the world’s airbag market. Almost all makes of personal vehicles are installed with Takata airbags, not just Honda,” he said. The faulty airbags can blow themselves up without engaging in any crash. The explosion shoots out metal parts that may hit the drivers or passengers in the head, face, or other parts of the body, according to Dr. Choungthong. In 2014 a pregnant woman in Malaysia was killed by this explosion in a 2003 Honda car, he added. For their own safety, car owners are urged to bring their cars in for safety checks.